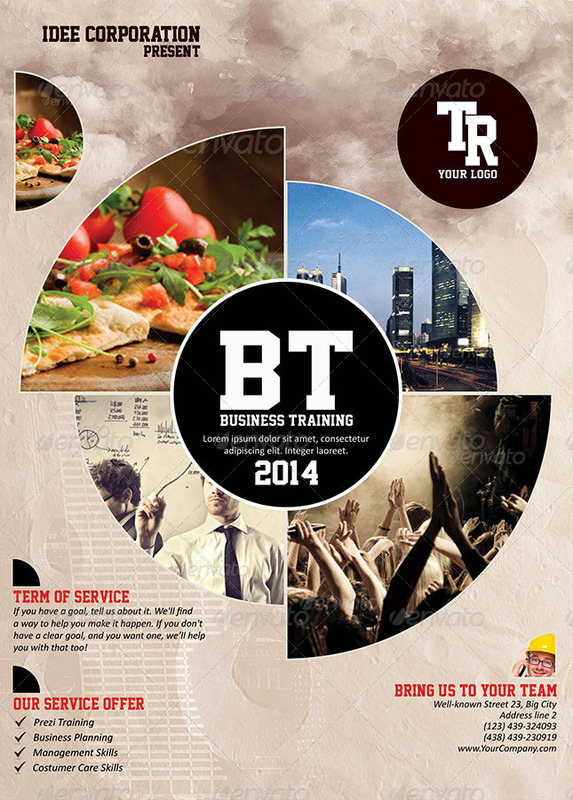 “Bussiness Training” This flyer was designed to promote an corporate / business / meeting / event company or other advertising purposes. Contents :: .psd fully labeled, layered, and organized with guides, bleed lines and crop marks included @ 300dpi, CMYK . The PSD is arranged in self explanatory folders, and all elements are easily adjustable. Please Don´t Forget To Rate The Purchase. Thank You.